Still thinking" Where to invest' and" How to Invest'? 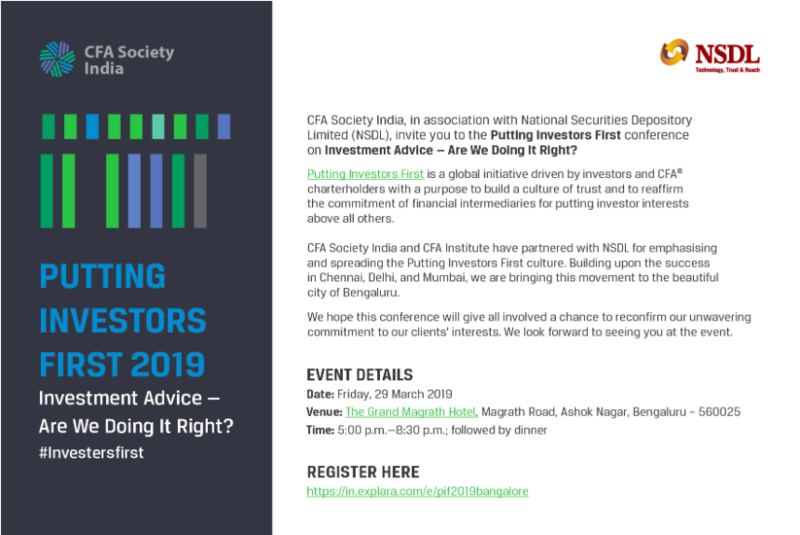 Putting Investors First 2019 a great opportunity to get your answers from the experts. A global initiative driven by investors and CFA to build a culture of trust and to reaffirm the commitment of financial intermediaries for putting investor interests above all others.